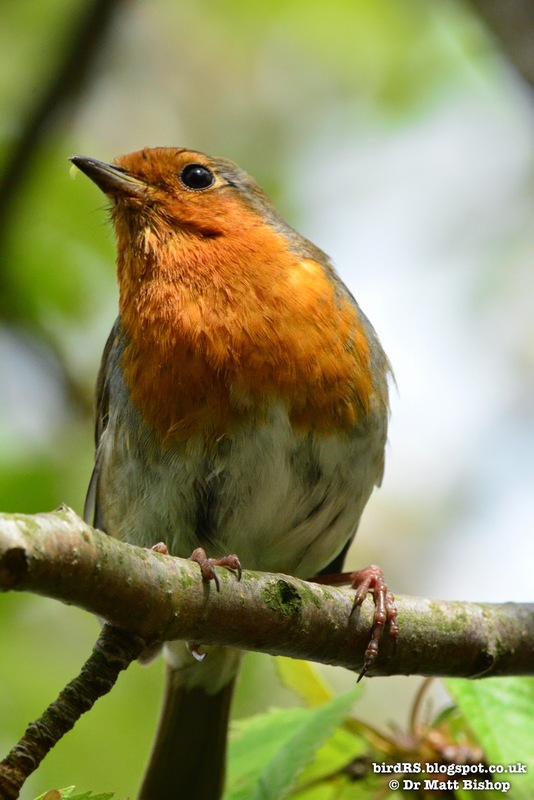 birdRS: The rise and fall of a fledgling Robin. 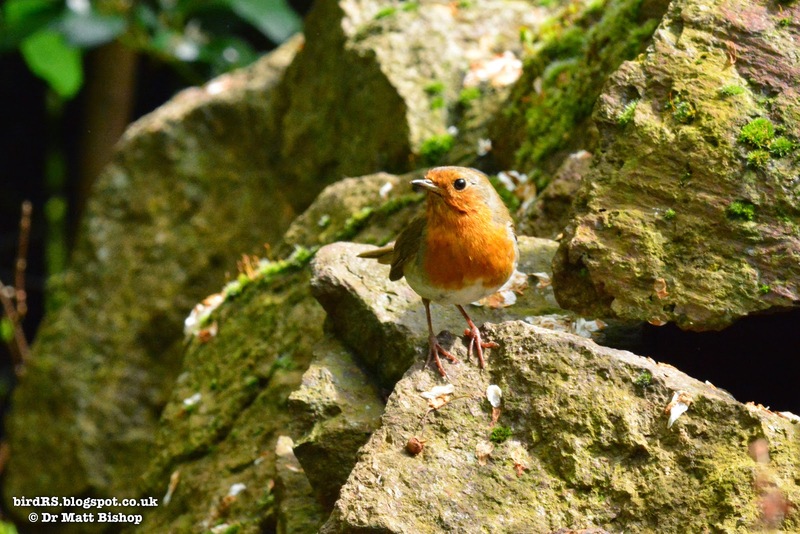 The rise and fall of a fledgling Robin. 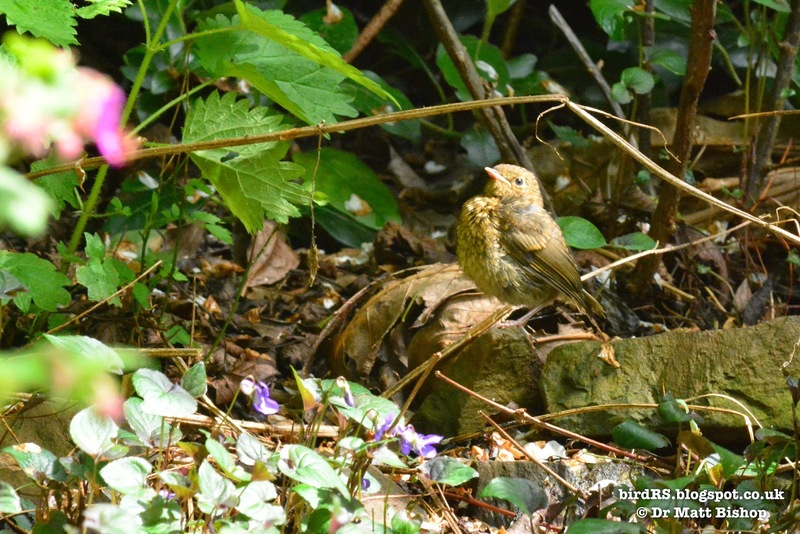 The highs and lows of trying to fledge a successful brood of young birds was played out in my garden over the last two days. 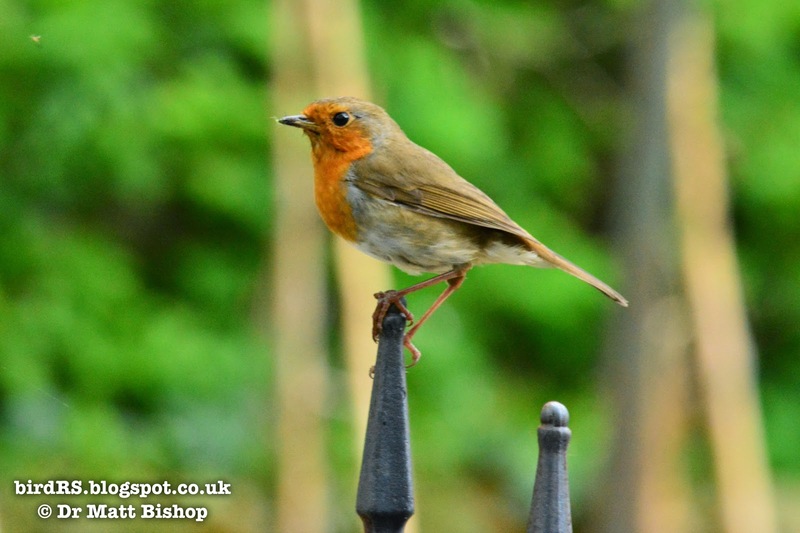 First I spent a fascinating hour watching our current resident Robin feeding two fledgling chicks with grubs, and suet/fat from the neighbours garden. Then the following morning - disaster. My wife sound one of the fledglings on the lawn, cold, wet, and barely moving. There was no sign of the parent and so it was brought indoors and warmed-up. After 10 minutes and an attempt to feed it pieces of worm it died. 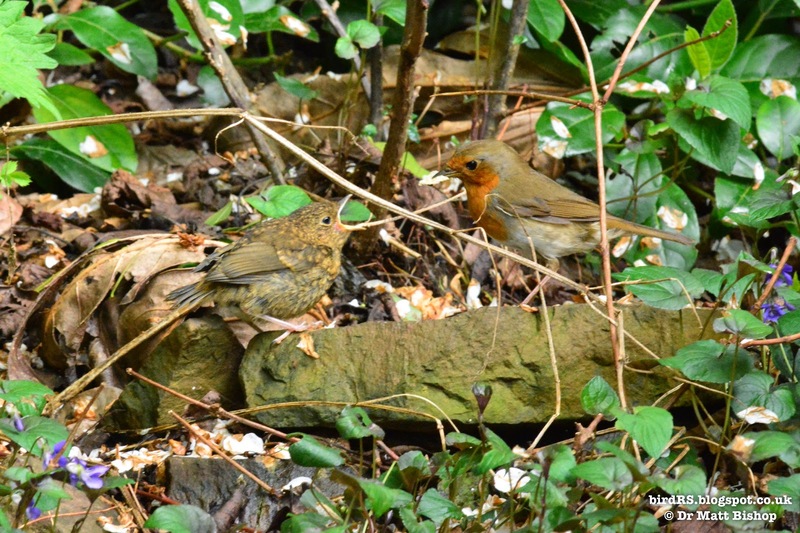 For the rest of the day there was no sign of the parent or the other fledgling. 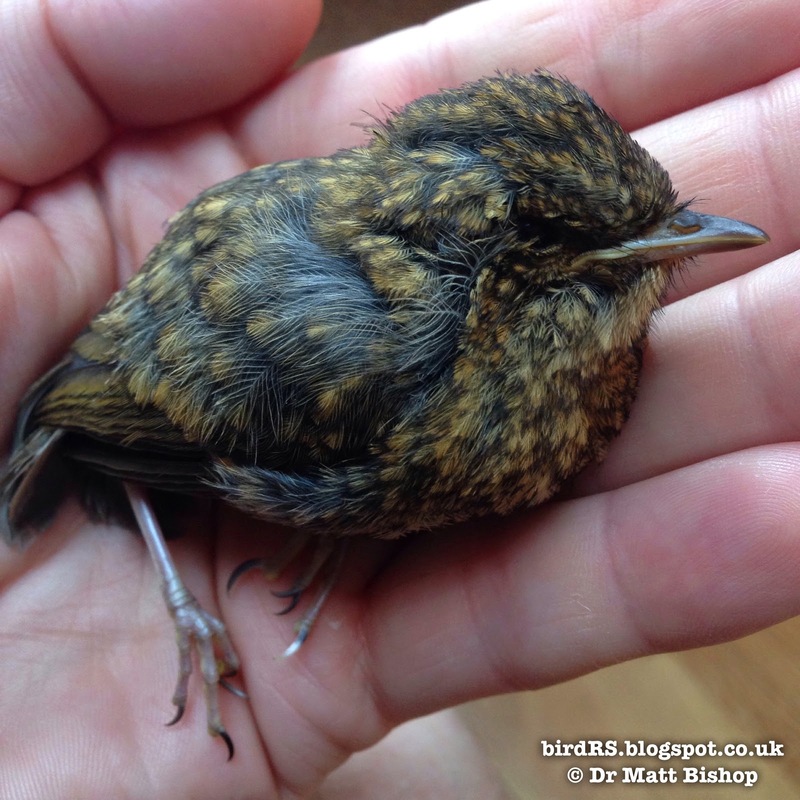 We thought that maybe it was the parent that had been killed and the fledgling abandoned - a reason for it's demise. 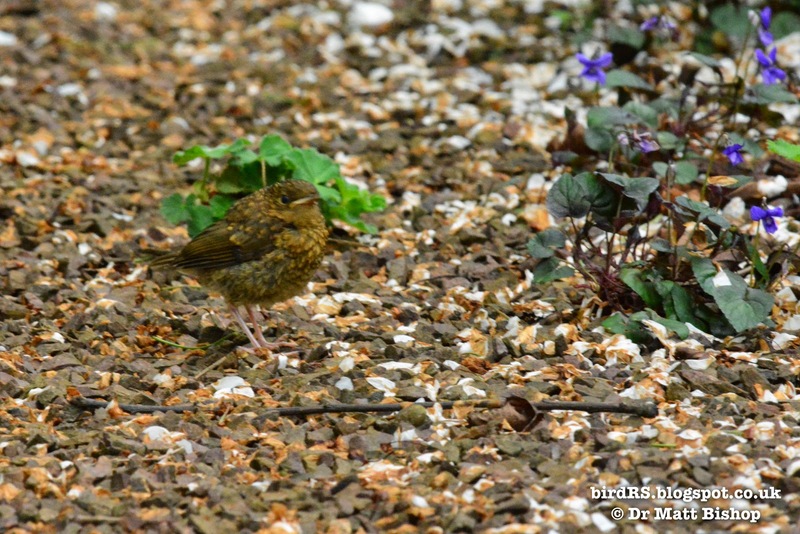 Then finally at 4pm the parent was seen again, and was collecting grubs. The other fledgling must have been still alive! Possibly the dead fledgling may have been scared out from it's overnight roost and got cold, wet, and lost, and not able to call for help. One down and only one left. We'll be hoping that as this one will be getting all the food and parental protection it'll have a better chance to survive the next few weeks until it is strong and independent.